The Brookmont Sales Gallery and Display Home Precinct take shape. 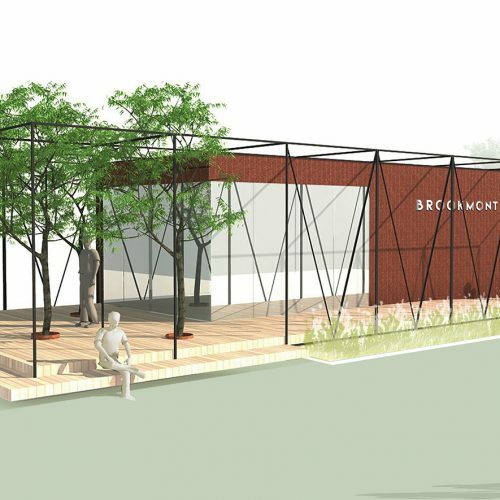 Construction has commenced on the Brookmont Sales Gallery. The building is architecturally designed and is located at the front of the development on the corner of Curtis Road and Andrews Road. The Sales Gallery will showcase the development and provide important information regarding both land and housing options available. The Sales Gallery will be opened from Monday, Wednesday, Saturdays and Sundays from 1 – 5 p.m. The Gallery is expected to be completed and opened in late 2017. Construction has also commenced on a number of display homes. Metricon, Hickinbotham, Statesman, SA Housing Centre, Fairmont, Weeks Group, Sterling and Metro Property, are all well underway. A number of other builders including Dechellis, Distinctive, Rivergum, and City Builders are starting soon. In total there will be over 20 new display homes with the latest and greatest floor plans, facades and specifications on show.